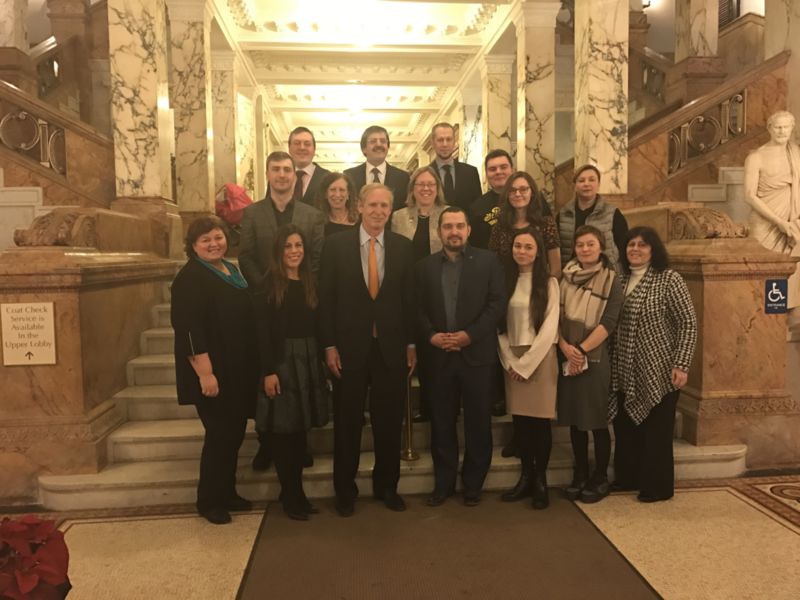 The Justice Resource Center hosted a delegation of attorneys from St. Petersburg and Moscow in December as part of the U.S.-Russia Peer-to-Peer Dialogue Program sponsored by the U.S. State Department to enhance pro bono activities with the school-age population in Russia. Delegates from the JRC visited Russia weeks prior in anticipation of this visit. 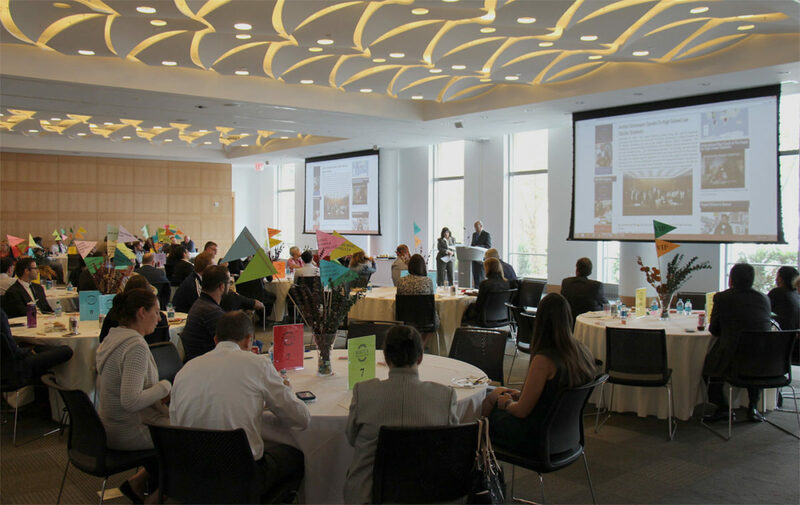 In order to replicate the success of JRC programs in their home cities, the attorneys visited our partners in law-related education at the NYC Law Department, City Bar, Federal Courts, and law firms Clifford Chance, USA and Schulte Roth & Zabel LLP. They were also able to observe a roleplay session of The Constitution Works as well as the citywide finals of MENTOR: Moot Court. Their visit concluded with a workshop on Constitutional Law by Columbia Professor Chris Riano held at the JRC offices. Congratulations to High School of American Studies at Lehman College! December 14, 2015 – Congratulations to High School of American Studies at Lehman College for their victory in the 31st MENTOR Moot Court Final Round! 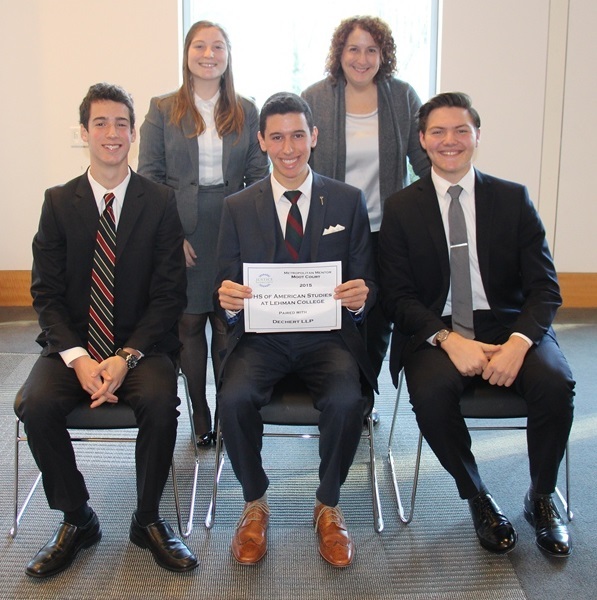 The team competed against Stuyvesant High School at the Thurgood Marshall Courthouse on December 10 with four federal judges presiding. Several participating schools, attorneys and educators came to watch as both finalists gave their arguments. Many thanks to all participants this year! Two-time MENTOR Moot Court champs! High School of American Studies at Lehman team photo with their teacher, Lauren Peterson, at Fordham School of Law.